Kristmas Kitty you look so ready for the holidays! Have you got Santa Paws? SOO fancy and dressed up! 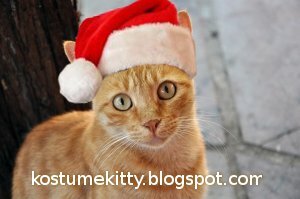 Christmas time is the best time for all good kitty cats to get dressed up for fun!